"Friendly, Did The Job Well And Very Quickly." "Excellent And Was Available Very Quick"
"Was Put In Contact With Someone Very Quickly. Easy To Review And Accept Quote, And Make Payment." "Professionally Done, No Mess To Clean Up. Returned Quickly When Minor Operating Problem Occurred." "Was Able To Solve The Problem Quickly And Well, Even Though Our House Threw One Or Two Curve Balls." 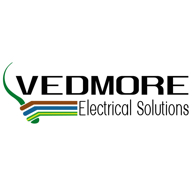 Need a Electrician in Cardiff?